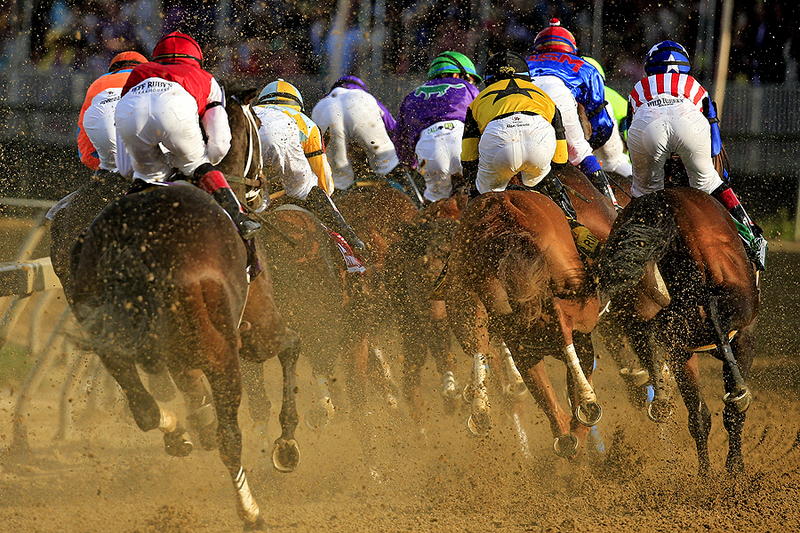 "The field enters the first turn during the 139th running of the Preakness Stakes at Pimlico Race Course on May 17, 2014 in Baltimore, Maryland." There is something special about May in Baltimore - and returning every year to Pimlico Race Course for the Preakness Stakes has a lot to do with that. It's always a challenge trying to see such a large event with a fresh view. While it's necessary to capture the same type of photographs year in and year out - to keep yourself and the team on their toes when something new does present itself - everyone is still always looking for the next best horse racing image. Teamed up with Getty Images, as always, I roamed the stalls multiple mornings before, combed the grandstands for features on race day, and shot a dozen races throughout the weekend. We changed up some shooting positions this year and I really enjoyed seeing the big race at a different angle. And despite some technical difficulties, I had another fun year along the rail. It will be exciting to see if California Chrome can capture the Triple Crown with two wins already in the bag.